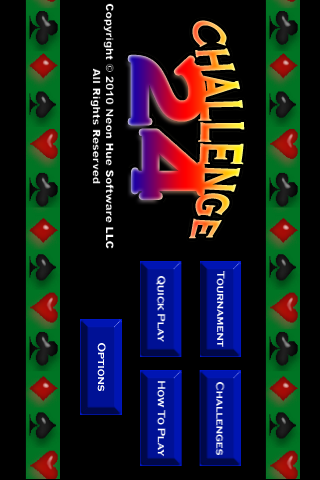 Enter the world of Challenge 24, an intriguing mathematical puzzle card game that will tax your logic and skill like never before. Take part in the Challenge 24 Tournament and test your abilities against an increasingly intelligent cast of hilarious characters. Don’t let their taunts distract you! Stay focused! Want to perfect your prowess? Unlock a series of puzzle-based challenges that will sharpen your wit and memory. They won’t stand a chance! Or just sit back and play an unending game with no pressure in Quick Play mode. Challenge 24 includes all-original artwork and music and fun production values.